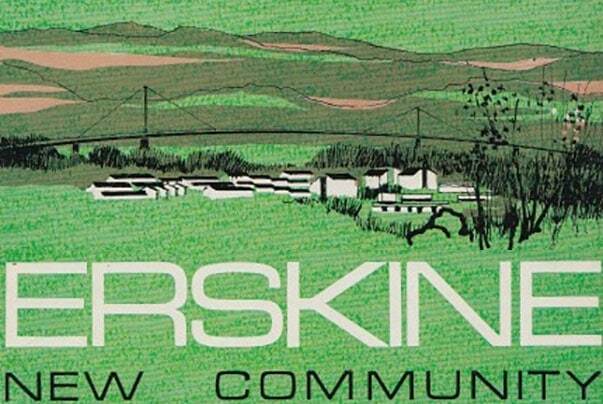 The “new community” of Erskine, dating from 1970, was originally conceived to have 30,000 residents with schools, community facilities, businesses, a harbour and a town centre. 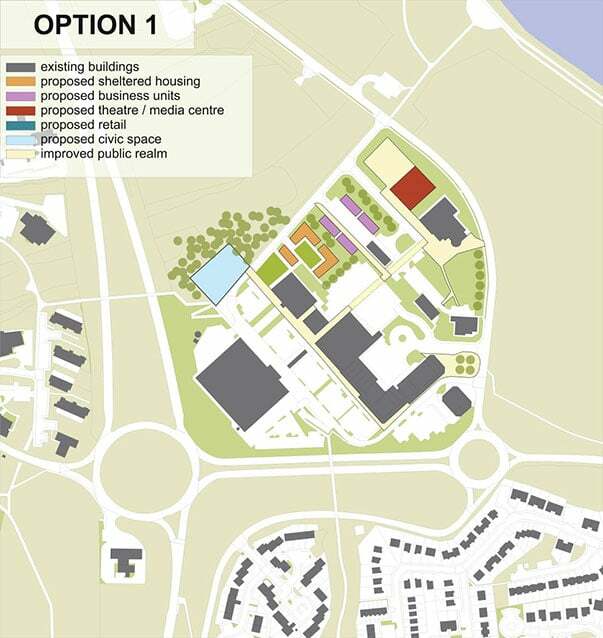 Forty-five years after the first houses were built, many elements of the original plan have materialised yet Erskine needs to continue to evolve to the meet the changing needs of the community. 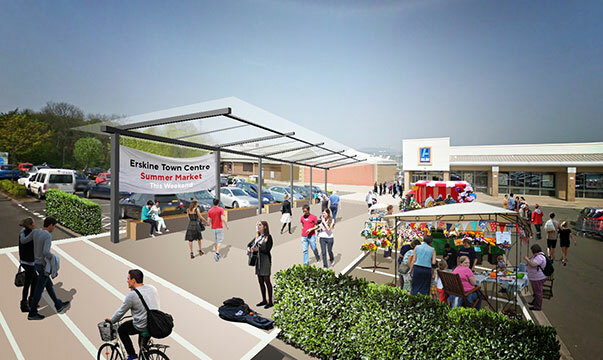 The 2016 Erskine town centre charrette was commissioned by Renfrewshire Council as planning authority and main landowner in the town centre and riverside area, with Scottish Government support. 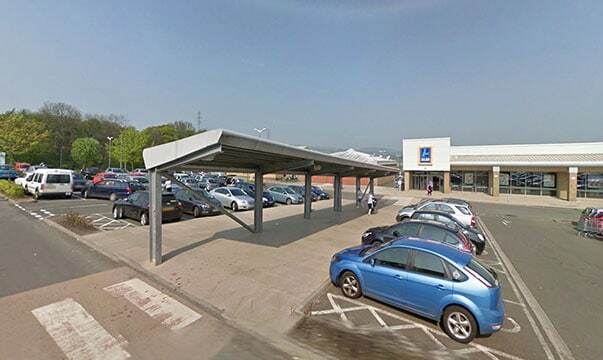 The purpose of the Erskine Town Centre Charrette was to consider the sustainable growth of the town centre, strengthen the role and function of the centre and provide an appropriate range and quality of facilities for the local population. A key outcome sought was to present future actions which inform the Council’s Town Centre Strategy and Action Plan. WMUD together with AECOM, Icecream Architecture, and Steven Tolson was part of a team led by Nick Wright Planning who were commissioned to run the charrette. Good engagement with the local residents, businesses and community groups is the lifeblood of a charrette. Their involvement is essential to ensure that the charrette outputs are rooted in local aspirations and ideas, and are deliverable. The charrette had two phases of engagement. The initial pre-charrette engagement which happened during January 2016 and the charrette workshops and exhibition which took place from 2-6 February 2016. The proposals include a central public outdoor space which could be used for civic events and activities, as well as simply allowing people to sit and meet. 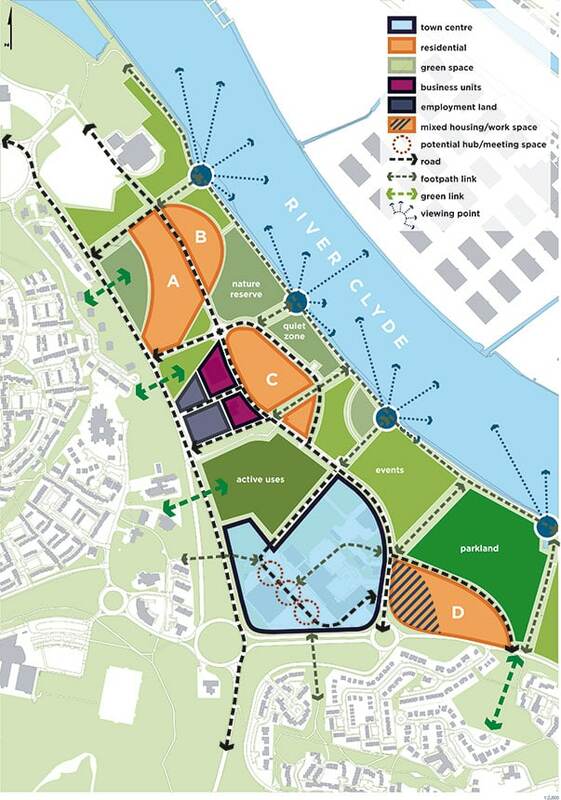 The proposals include parkland and activities along the river edge as shown on the plan overleaf. The intention is to offer a range of reasons to go down to the river – including quiet contemplative space, children’s play, outdoor gym, woodland pockets and community growing areas. If funding is available, there may be opportunities to develop a cafe, water sports and other activities. Generate income from the appropriate use of spare publicly owned land e.g. biomass cropping or sale for development. Tackling these issues is a huge challenge, as was discussed during the charrette. Finding practical ways to address the maintenance burden with reducing public sector resources is difficult, let alone create new routes where they are missing. This set of proposals responds to community aspirations expressed during the charrette for a greater range of housing. 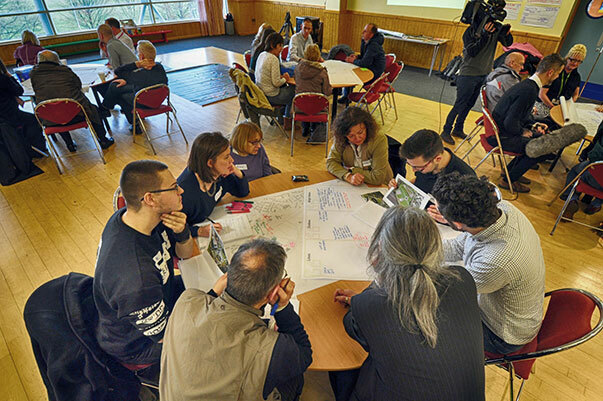 Collaborative action between the public, private and community sectors will be absolutely essential in delivering the transformation change developed in the charrette sessions. No sector has the ability or resources to do everything alone. The local authority’s role will be critical in ensuring that collaborative action takes place and is effective. As the lead agency, Renfrewshire Council has to champion the package as a whole and ensure that the development proposals in this report are realised.